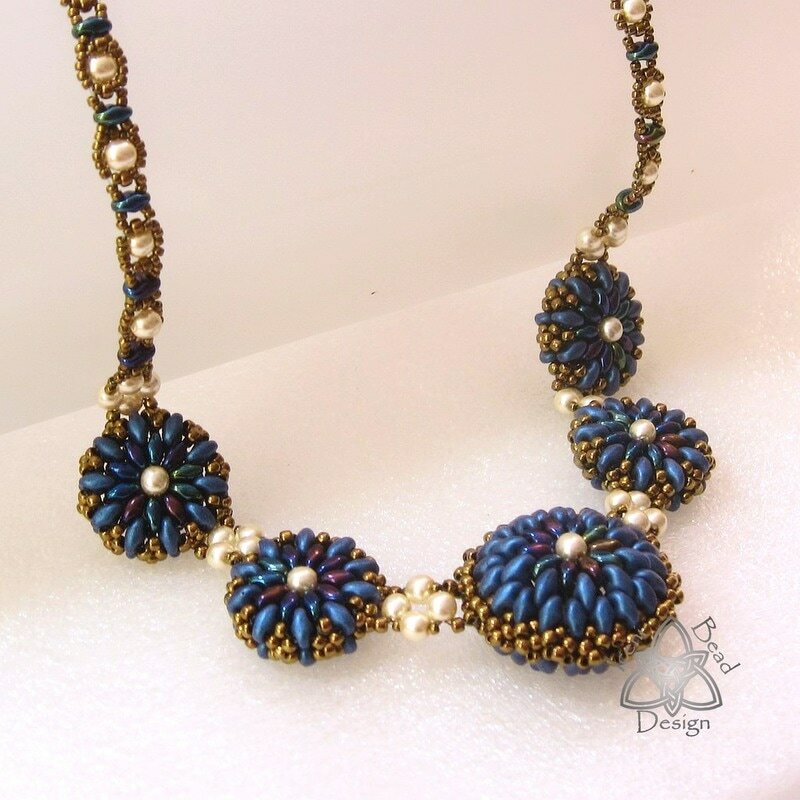 Add some chic style to your look with this beautiful necklace made with beaded pillow beads, a larger central bead, matching chain and beaded toggle clasp. 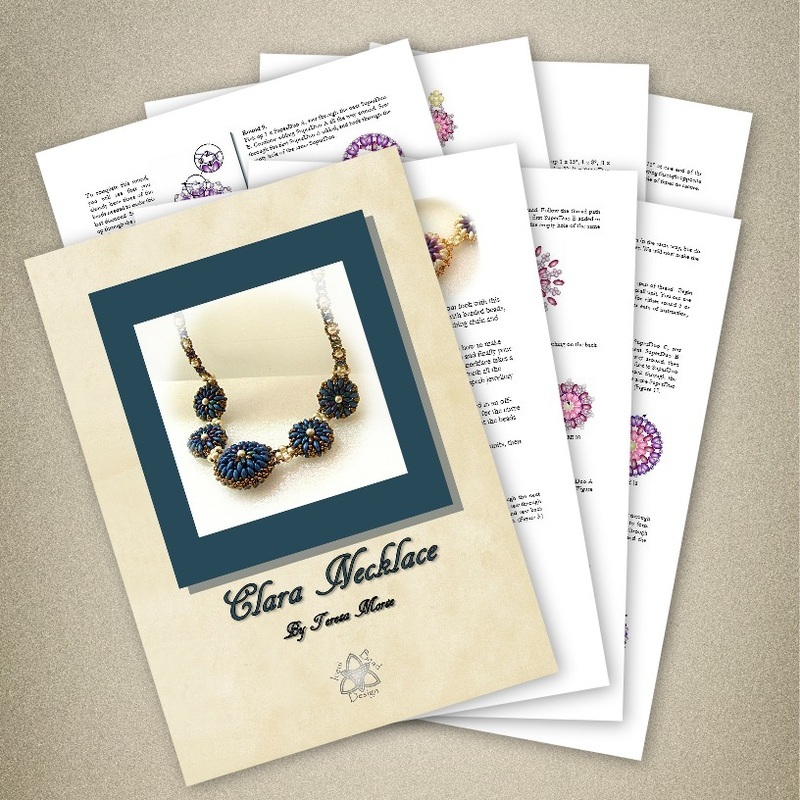 This tutorial will show you how to make each beaded unit, the chain and finally your toggle clasp to match. 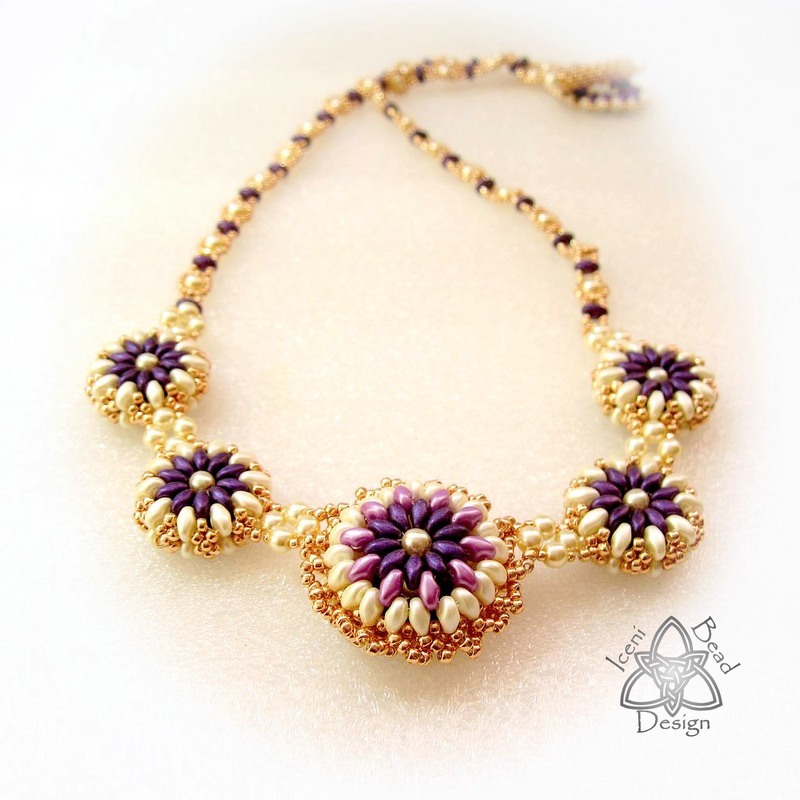 This necklace takes a while but you will see it is worth all the effort when you have this superb jewellery ready to wear.